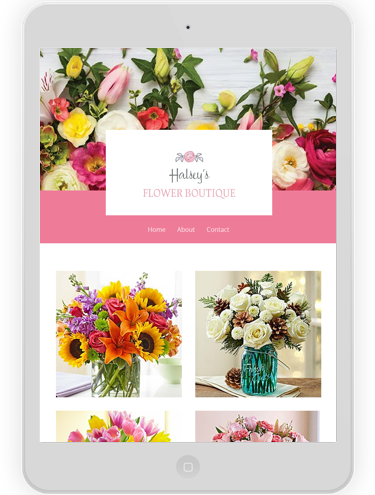 You don’t need a separate mobile website builder to look your best to every customer. Vistaprint’s responsive website templates mean your site adjusts to any device like magic. The world is going mobile. More and more, people are shopping, reading reviews, and searching for local businesses on the go. In fact, search engines now rank sites with mobile versions higher than desktop-only sites. That means more visitors to your website, and more customers through your doors. Your brand can get lost in the process if you have to use a separate mobile website builder to create a second version of your website. Consistent branding from your print materials to your online identity is key, and your mobile website is no exception. 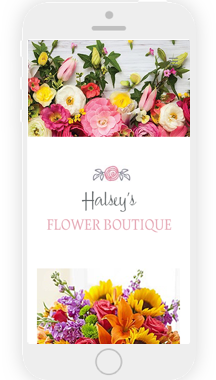 Using Vistaprint’s responsive, mobile-friendly web templates, your brand stays consistent across devices without a second thought. Instead of making navigation menu links small and hard to click on, links on mobile sites collapse in a “hamburger” drop-down menu. While desktop sites are optimized for landscape orientation (wider than tall), mobile sites look great in portrait (taller than wide) view. A desktop-only site will be scaled down such that viewers have to pinch and zoom to read, but mobile adjusts to keep type readable. The header and footer sections of a responsive mobile website will automatically redesign themselves for optimal viewing on small screens. 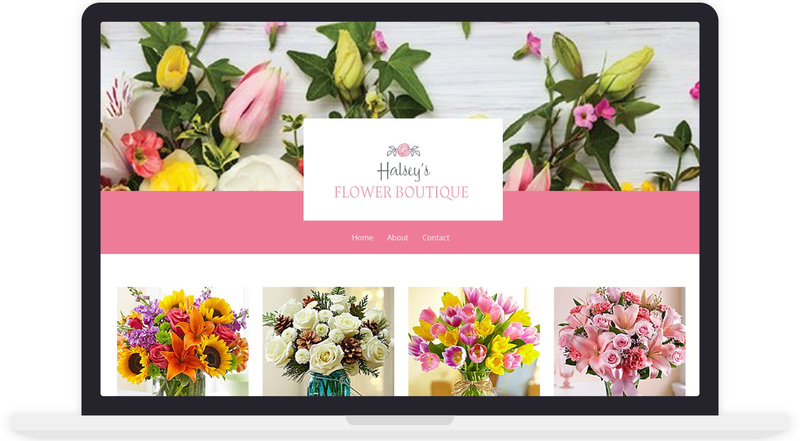 Unlike using a separate mobile website builder, a responsive mobile site rearranges content to fit vertically without shrinking each of the elements. Mobile websites take advantage of things any smartphone can recognize, like clickable emails, directions, and phone numbers.